May 28, 2007 - LOVES PARK, Ill. – Following a two-game road trip to Traverse City, the RiverHawks return to Road Ranger Stadium on Tuesday night with a full slate of promotions. Tuesday’s 7:05 p.m. game with the Beach Bums kicks off the first Ladies Night of the 2007 season. Dr. Pepper and WTVO sponsor Magnet Schedule Night, where the first 5,000 fans through the gate will receive a 2007 Rockford RiverHawks magnet schedule. Fresh off an eighth-place finish in the 91st Indianapolis 500, racing star Danica Patrick will speed to Road Ranger Stadium on Wednesday, May 30 for the MDA Danica Patrick Jersey Auction. The RiverHawks will take the field that night in jerseys modeled after the Roscoe native’s racing suit. Immediately following the game, the jerseys will be auctioned off to fans, with proceeds going to the MDA. Patrick will autograph each jersey sold at auction. All games are expected to be sellouts, so advance purchases are highly recommended. Season-ticket buyers will have exclusive access to a VIP area where Patrick will hold a meet-and-greet session. 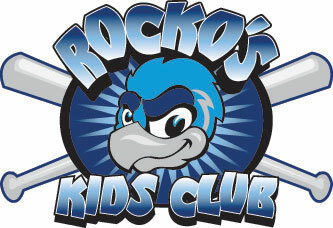 After a quick trip to Kalamazoo, the RiverHawks return to Loves Park on June 2 to a special celebration for mascot Rocko the RiverHawk. Rocko will be celebrating his birthday and the first 1,000 fans will receive a Rocko Bobblehead courtesy of LaSalle Bank and BOB FM. June 3 is Family Night and fans will be treated to a special performance from the Phantom Regiment, presented by B103. Standard starting times are 7:05 p.m. Monday-Saturday and 6:05 p.m. Sunday. Single-seat prices start at just $5.